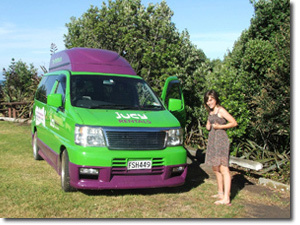 To begin our holiday in New Zealand we picked up the Jucy Grande at around 10 o’clock. We walked into the reception and found tons of maps and browsers on places to see and special deals only Jucy offers. Whilst occupying ourselves with the great supplies the queue went down and we were served. The staff there were very helpful and were managing the situation very well. After a quick tour of the Grande we set off on our journey. We headed straight to the highway so we could get to the Coromandel Town as soon as possible. On the way up we saw amazing scenery and beautiful wildlife. 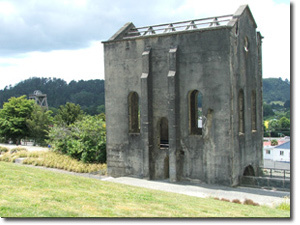 When we arrived in Coromandel we went to the information centre which was very useful. 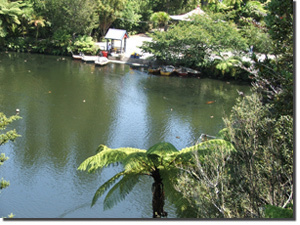 They booked us in for the train ride and the glass bottom boat which we did the next day. When we got back into the Grande to go to Colville, the ignition in the campervan wouldn�t turn on and the van wouldn�t start. We popped the hood and played around with the terminals and sure enough that was the problem. We were going to call the Jucy depot as they would have sent someone out, but since it was something we could easily fix, we decided not to. After the minor hick-up we set off to Colville then we stopped at the caravan park. We started to set up and we had great difficulty setting up the bottom bed. We eventually got it and then watched the sun go down, had a shower and were off to bed. The Grande managed very well today with the windy roads. 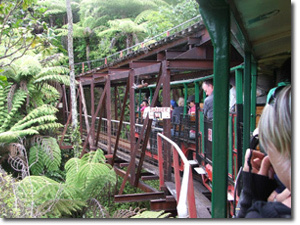 On Day 2 of our NZ adventure we went on the Coromandel train ride! It was amazing; there was beautiful scenery and plenty of history to be learnt. When the ride was over we headed to the ferry (starting position for the boat). We had plenty of time to spare so we ate some lunch and got dressed into our togs. Then it was time to go on our 2 hour marine life experience. By the time we got back it was 6 o�clock so we rushed to Sea Breeze Holiday Park so we could get checked in and sorted. After settling in we then went for a 5 min drive down the road to hot water beach and dug a hole in the sand and laid in hot water. The water got hotter and hotter to a stage where you couldn�t actually touch it because it would burn. We then decided to go to camp before it got too dark and have a shower and set up for the night. Overall had a fun exciting day and amazing scenery and history was learnt. Day 3 came with a lot of driving. It was a great challenge for the van; we drove masses of kilometers and stopped for several scenic walks and attractions. We drove all the way from hot water beach (Coromandel) all the way down to Taupo. We went through several towns and saw a lot of amazing things. 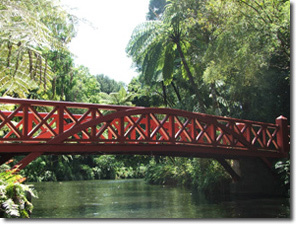 The highlight towns of the drive were Tauranga, Okere Falls, Rotorua and Taupo. The towns listed above are all very awesome and have their very own little unique thing about them. The Grande managed the roads quite well. up in the camp kitchen provided. Day 4 was basically all about the shopping in Taupo. We also went and saw the Hukka Falls which are really pretty. The colour of the water is astounding! It is crystal clear no matter what angle you look at it from. The shops around Taupo are nice and the people and the town itself are lovely. Taupo is a great place. After a day of super relaxation we decided to set up camp beside the river, it was very nice and everyone around us was welcoming and nice. Day 5 saw us woken up by the noise of water crashing down the river, with the beautiful sun shining. We left the camp ground and headed off to the forgotten lost highway. When we approached the beginning of the highway we had to stop and get fuel because there aren�t any petrol stations for the duration of the highway. The tree ferns and all the other trees and bushes just made it feel like you�re in a magical forest in a different world. There were plenty of things to see and lots of history to learn about. When we got to the other side we stopped to have a bite to eat and look at the information centre. Continuing on� we only did half of the Surf Highway 45 because we were rather tired, so we will continue with that tomorrow. Great day! On our 6th night we stayed at a really lovely little caravan park. There was a lagoon and it was a great natured place. 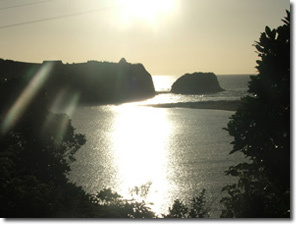 We kept on travelling along the Surf Highway, stopping at Pukakura Park, we spent majority of the day there, it was really good. We then kept on driving and stopped at a little caravan park and ate white bait fritters. We are staying here for the night. On our final day we took back our Grande to the Jucy depot. The service was really great and everyone was really helpful. 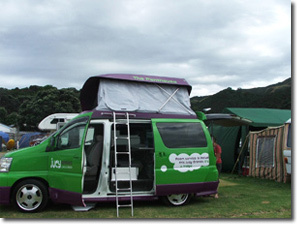 We will definitely book our NZ camper through Discovery Motorhomes again!